COLOUR JET (Helox) laser films: transparencies, glossy and gold film are very heat resistant and they ensure good flatness on OHP’s . Colour Jet laser films have a specially formulated surface coatings on both sides. Antistatic finish and thick polyester base of 100 microns ensures good feeding characteristics. 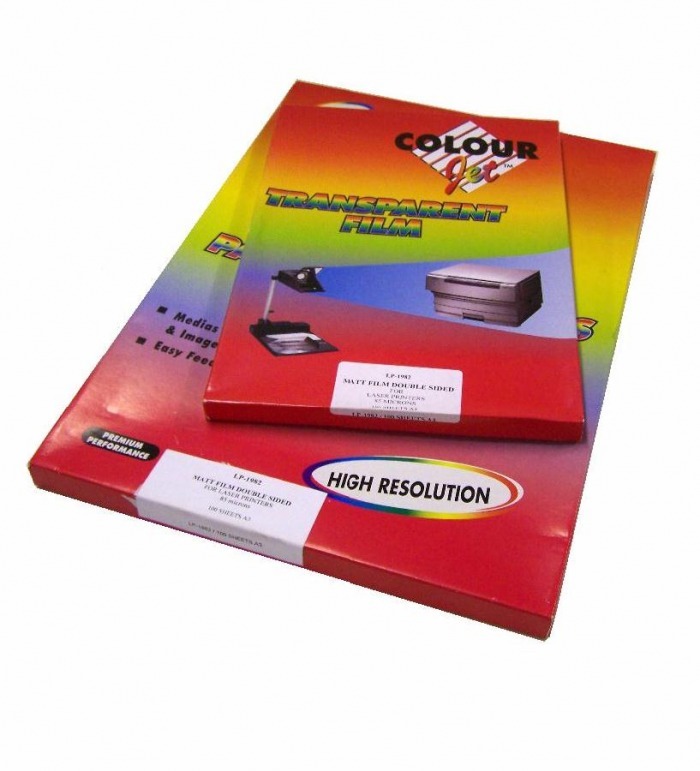 High resolution, heat stable 85g double matt laser film, ideal for printing positives. Available in A3 and A4 in boxes of 100 and sold loose.